The iPhone X is here with all of its revolutionary new features. But that also means that the Home button and Touch ID are gone — at least on the premium OLED handset. 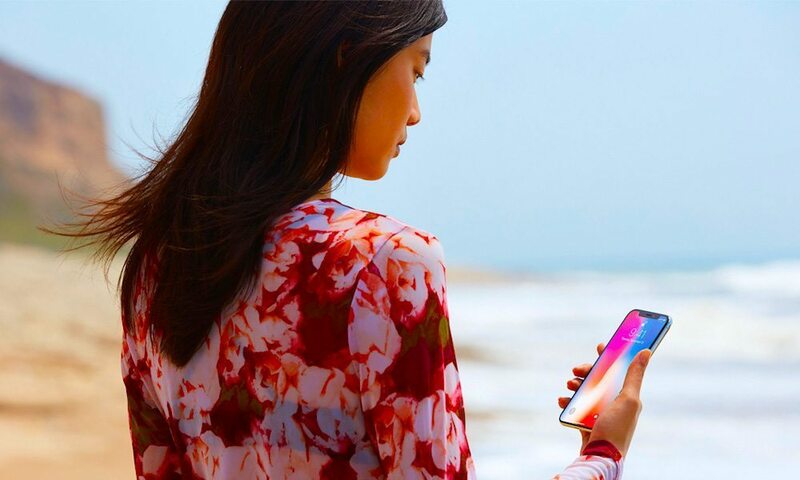 In their place, Apple has introduced a new gesture-based control system and an advanced facial recognition platform called Face ID. The latter system uses cutting-edge tech that helps it to stand out among competing facial recognition platforms. Here’s how it works. Face ID relies on a suite of sensors located in the iPhone X’s camera cutout at the top of the device. Apple calls this its “TrueDepth” camera system, and it sports some advanced technology — including an infrared camera, a dot projector and a so-called flood illuminator. The system is activated just by looking at the handset. The dot projector projects more than 30,000 invisible infrared dots onto your face, which it uses to create a depth-mapped mesh of your face to match to a face on file. The flood illuminator beams a light onto your face, so the system works even in dark environments. The system doesn’t just stop there. Apple has also added a dedicated neural network built into the iPhone X’s A11 Bionic chipset. This neural network relies on a custom, dual-core chip design to process biometric facial recognition in real time. The biometric system uses the aforementioned suite of infrared sensors to create a mathematical model of your face, which it sends to a secure enclave. When a user simply “looks” at the iPhone, it’ll recognize the face and automatically unlock the device — as well as authenticate for Apple Pay transactions and other purchases. Face ID is smart enough to recognize a face, even if the user changes hairstyles, sports a pair of glasses, or wears a hat or scarf. The system even adapts to physical changes in appearance over time — recognizing if a user grows a beard, for example. It also recognizes if a user is looking elsewhere and not actively trying to unlock their device. The Face ID system is also extremely secure. To illustrate that point, Apple used Touch ID’s security as an example. With the fingerprint-based biometric system, there is a 1 in 50,000 chance of false authentication. For Face ID, that changes to a 1 in 1,000,000 chance of another person being able to unlock your iPhone with their own face (although Apple recommended those with evil twins to be a bit more cautious). To guard the system against spoofing that other facial recognition systems are prone to, Apple’s engineers tested the system to ensure that a picture of a face wouldn’t be enough to authenticate. The company even worked with professional mask makers in Hollywood to beef up Face ID’s security. Basically, a Mission Impossible-style mask of your face wouldn’t even be able to crack the system. Additionally, all of the facial recognition data is processed locally and never sent to a server. Face ID is secure enough to work in all instances that touch ID did, including with Apple Pay and with all third-party apps that already support fingerprint-based biometrics. That includes financial and banking apps, too. But it’s not all serious business with the TrueDepth camera. Apple has also introduced a new style of animated emoji that it calls Animoji — which rely on the same advanced facial mapping systems as Face ID. The TrueDepth camera system captures and analyzes over 50 different facial muscle movements, which it can use to animate a variety of different Animoji. Users can “capture” their facial expression and use the result as a sticker in Messages. Additionally, one can record voice and facial expressions — which are applied to the Animoji — and send the resulting animated character via iMessage.